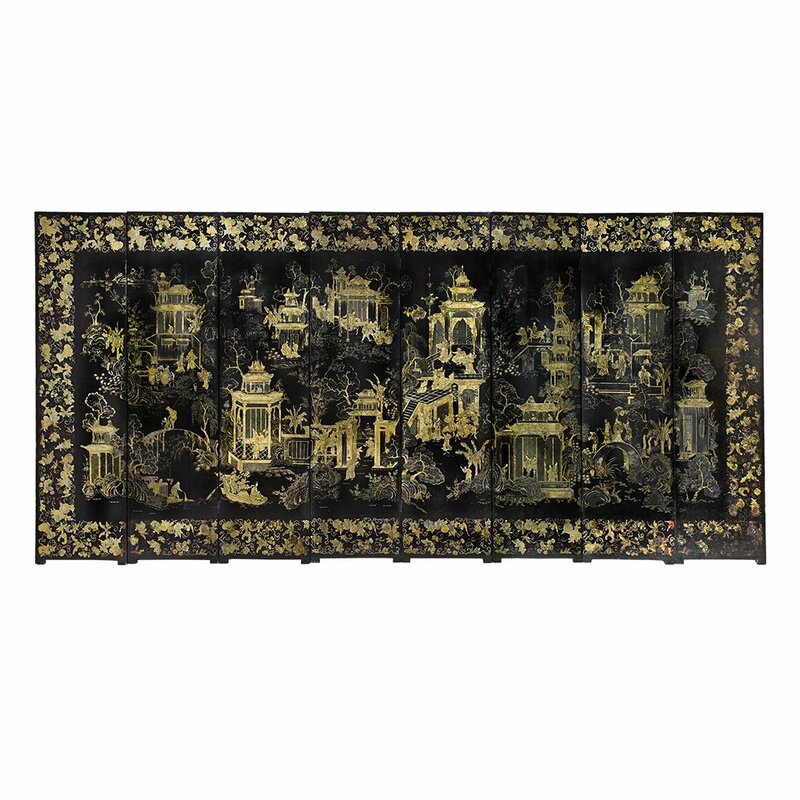 A Chinese black and gilt lacquer screen. 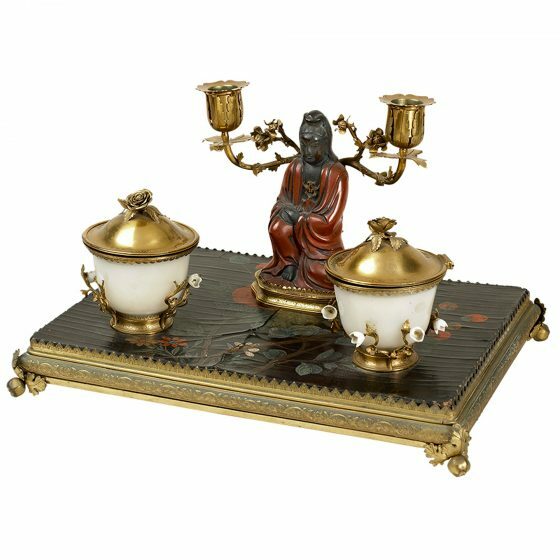 A fine mid 19th century Chinese black and gilt lacquer eight fold screen of fine quality and condition, produced in Canton for the export market. 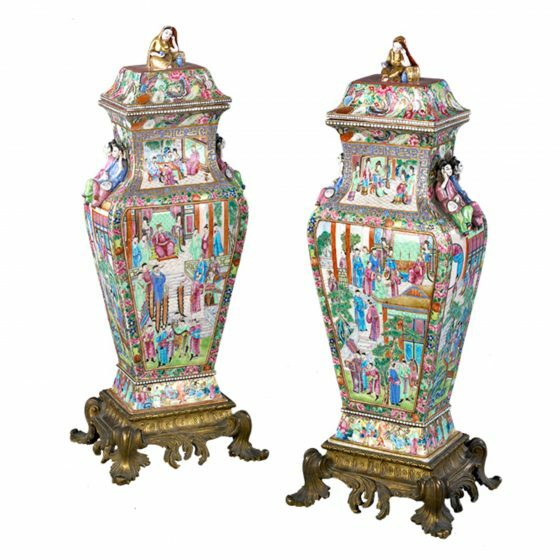 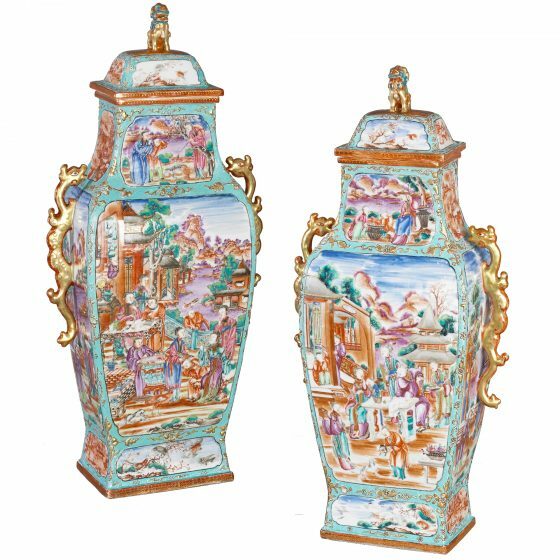 Richly decorated with courtly scenes of water gardens with figures amongst houses, pagodas, bridges and boats.